Defined by the New Oxford American Dictionary, xeriscape means, "a style of landscape design requiring little or no irrigation or other maintenance, used in arid regions." According to the City of Bend's waterwisetips, it means focusing on efficient irrigation practices and grouping plants together with the same water requirements, with an emphasis on conserving all natural resources and proper plant selection. In planning and design, it's recommended to identify the characteristics of your yard, the different use areas, determine the water use zones to put like plants together, then map out your plan. Soil improvement recommends having your soil tested by the local extension agency—in Bend's case, Oregon State University's extension office located in Redmond at 3893 Airport Way. Their phone is 541-548-6088 and they are open from 8am to 5pm Monday to Friday. The purpose of the soil test is to see how to improve it, which generally begins with a deep rototilling—at least 6 inches down—to break up the compacted ground, then adding organic matter such as compost or shredded leaves to help improve penetration. Then, after your soil sample results come back, add amendments as suggested. 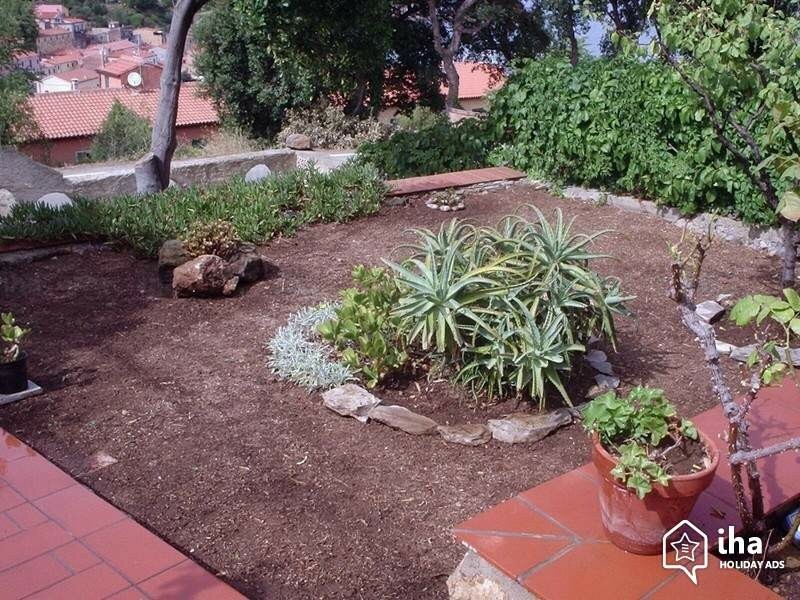 Replacing rarely-used turf areas with water-wise groundcover or other drought-resistant plants will decrease runoff and make your yard more interesting than a sea of green—or brown in the winter. Efficient irrigation is the heart of xeriscaping. Broken or leaking pipes are a leading cause of home water waste. 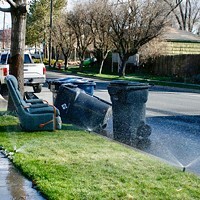 Fixing leaks can save 10 gallons of water per minute, per leak, according to Bend's waterwise. Mismatched sprinkler heads in specific watering zones can cause uneven watering and lead to increased runtimes, wasting water. Perhaps the best way to have efficient irrigation is to adjust it seasonally. Waterwise recommends irrigation should only run at peak volume during June and July. In April and September, it should run at 50 percent; in May at 60 percent; August at 80 percent and October at 30 percent. Also, pay attention to when you run the sprinklers: the best hours are 7pm to 6am. From 9am to 5pm, you shouldn't water unless you have new sod, seed or plantings due to winds and temperature causing quick evaporation. Think of mulching as sun block for plants, wateruseitwisely says. 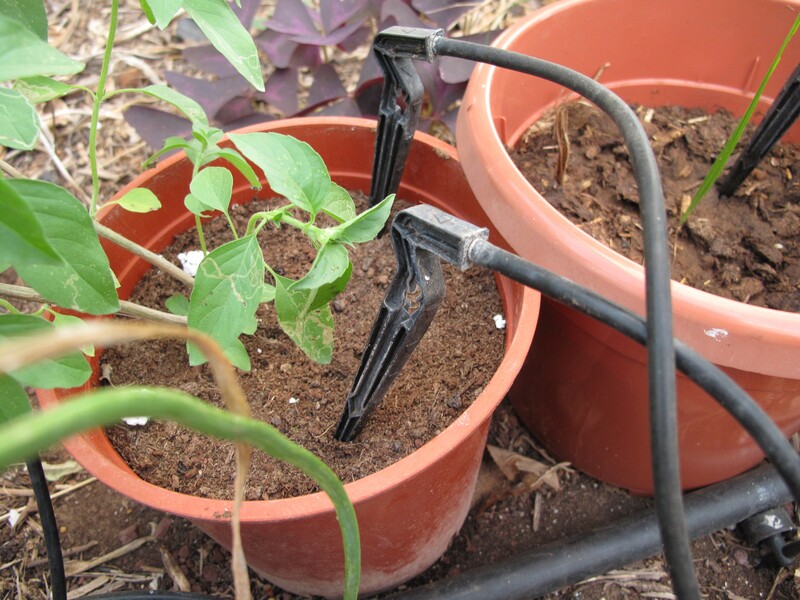 Only a few inches can greatly help keep moisture in the ground and protect plant roots from too much heat. Plus, mulch blocks the spread and growing of weeds. 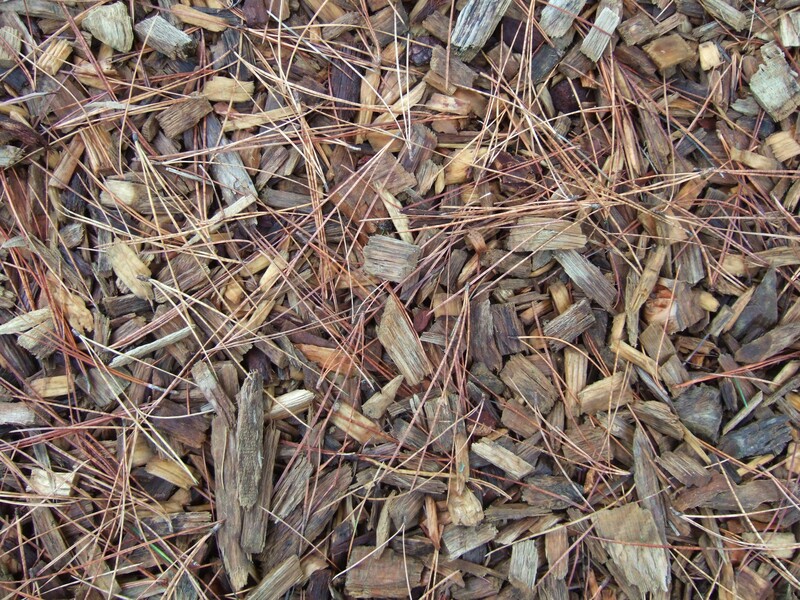 Before you mulch, wateruseitwisely recommends you remove all the weeds early in the year, before they get entrenched. Start with a thin layer and work it into the soil. Then add 2 to 4 inches on top on the entire root zone of each plant out to the leaf canopy. When adding mulch around shrubs and small trees, be careful to keep the mulch pulled back a few inches to prevent rotting the trunks. 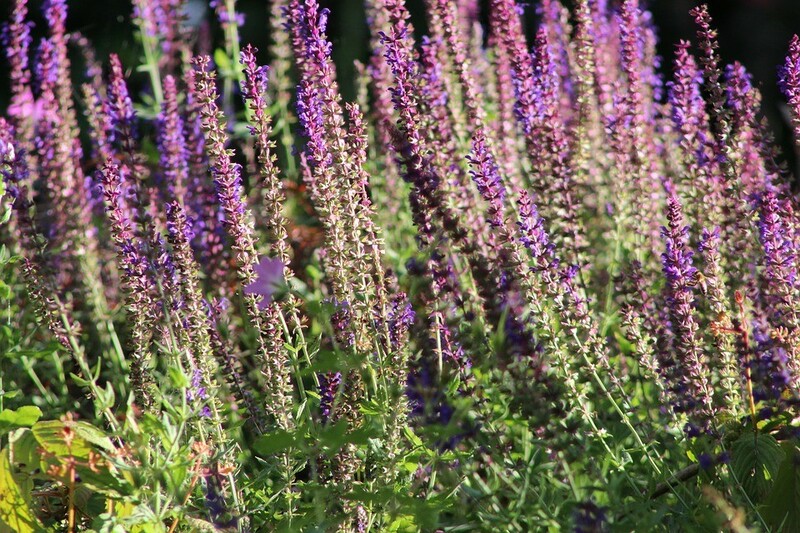 There is a myriad of low water-use plants available. The City of Bend's water conservation page has a link to low-water plants, but here's a small list of some that can turn your xeriscaped yard into a color palate. Serviceberry, Japanese lilac and Amur maple trees are beautiful, low-water ornamental trees. Most shade trees are pretty thirsty, but the thornless Honey locust is one low-water variety. Evergreen trees—for those who want to leave the rake in the shed—use very little water, especially the ever-present ponderosa pine and the many species of juniper. For bird lovers, the trumpet vine is a low-water vine that blooms in the summer with beautiful flowers that hummingbirds flock to. Now that you've gotten dirty xeriscaping your yard, wateruseitwisely has a few tips to keep it strong and beautiful. When you mow in the summer, never cut more than 1/3 of the grass' height. Taller grass cools the soil, reduces stress and encourages root growth. 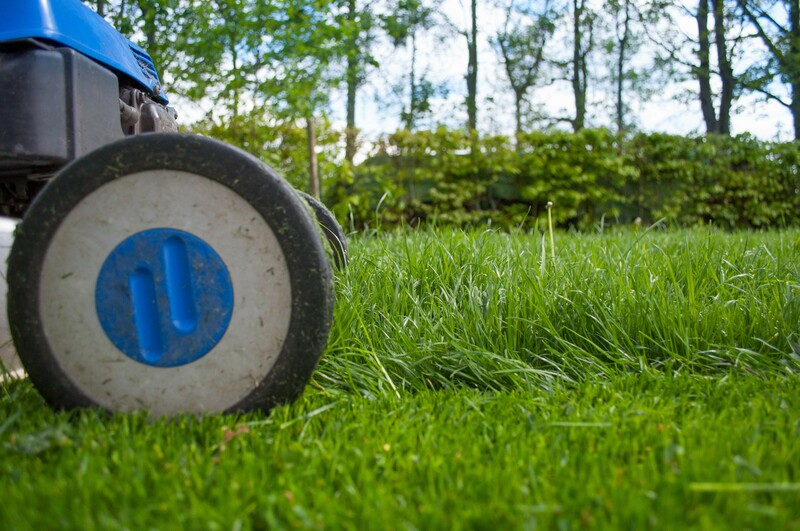 Also, leave the clippings on the lawn to return nutrients and encourage growth. Keep up on the weeding. Start early in the year and watch out for nutrient thieves during the growing season. Lastly, fertilize by adding a light top dressing of compost or other organic fertilizer. It decreases thatch on lawns and increases root mass and surface area on plants. Fertilizing is best early in the year when conditions are still wet. Median square foot home in Oregon: 1,500 square feet per the 2015 U.S. Census' American Housing Survey. With these averages in mind, if a Bendito used half of the available yard left after the home's footprint for grass, or about 2,300 square feet, it would cost about $4 each time the sprinklers came on to put 1 inch of water down. Want to know more about water use in Bend? Turn to page 43 for information from the City on water use and how to be more waterwise.